"It works but is not great"
It is not at the level of other Graphical user interfaces, I constantly heard feedback from our employees stating that the workflows were confusing or too much info to complete so as a result many times some processes ended up not being closed or completed on time or at all. The reporting piece was not as useful because to get to what you need there needs to be lots of click here and there and the reports end up giving you a lot of information that is not necessarily what you are looking for. Friendships have been made at work simply by bonding over how much we all hate SAP SuccessFactors. Everything. The product makes very little sense, poorly designed, and horrid user interface, reminiscent of websites from the 2005 -- I think they borrowed heavily from Hotmail's design. We had to use this at work for our performance review, an already dreadful ordeal, and this system made it magnitudes worse. The un-intuitive design makes it difficult for both the manager and employee to complete, which makes it even less likely for either party to complete it in time -- everyone just tries to put this off as long as possible, especially when it's so difficult to figure out. You're probably way better off with everyone using email for performance review. Hell, just send out Google Forms to managers and employees and you'll save a significant amount of time and money. I think SAP SuccessFactor is a great way for the company to weed out the least devout -- this product makes everyone want to quit yesterday. "SAP SuccessFactors - Hubbell Incorporated"
I like that the system is multifunctional. You can have multiple different areas of the business involved in certain processes, and you can share things, and be interactive. You can track functions, approvals, sharing, job postings and candidate applications. I don't like that the system has some gaps in it's functions. It's not ALL-INCLUSIVE. It doesn't allow sync with Outlook, it limits access to those associated to the account. It assigns certain steps to only certain people. There are some things that disappear when you move steps (when you submit offer, and move to pre-employment/hired the approvals disappear). Be sure to inquire about all the uses of the product before you implement it or change from a different product. It is a great system for companies who have certain needs. The way it syncs with some systems is not always conducive for some processes. We implemented then hit some road blocks that we have not been able to come back from or fix the process so have had to improvise. Multiple levels of approvals allowed for tracking. Many ways to keep ahead of audits (notes, comments, including emails, etc.). Alerts to let people know that they have approvals, a to-do list, assigned courses, reviews and tracking. I like that there's an online platform where you as they employee can paint a fuller picture into who you are. Questions include: What have you done with us? Program could be more comprehensive and higher-tech. Sure, use it, but make sure that your staff truly fills it out and puts it into practice. Make goals with your staff using this program and create some fun around it. Sure, use it, but make sure that your staff truly fills it out and puts it into practice. Make goals with your staff using this program and create some fun around it. Sure, use it, but make sure that your staff truly fills it out and puts it into practice. Make goals with your staff using this program and create some fun around it. Sure, use it, but make sure that your staff truly fills it out and puts it into practice. Make goals with your staff using this program and create some fun around it. Sure, use it, but make sure that your staff truly fills it out and puts it into practice. Make goals with your staff using this program and create some fun around it. Sure, use it, but make sure that your staff truly fills it out and puts it into practice. Make goals with your staff using this program and create some fun around it. Getting to know employees a bit better, more detail into their aspirations. I like how I am able to see who all works within the company and organize my goals and successes within it. I like how this is easy for HR to review and see what is going on in the company including new hires and open areas. I don't think the user interface is very friendly, then again, this might be due to personalization for Belk. It's is confusing and very basic. I feel like the tiles and organization could be better to make the transfer to different services in the program easier to work through. This helps to keep track of goals within the company and how they align with the overall business goals. It's easy to see how people move and work. It allows HR to see who is meeting their goals and who may need more support which allows HR to move people across the company accordingly. 1. It is highly customizable. 2. Serves as a perfect human capital management tool for large companies. 3. It completes the requirement of KRA/ KPI management . 4. Learning and development of an employee can be tracked and measured by setting certain norms. 5. It is very useful to assign learning, schedule training's to specific group, team, department. 6. I love the "My tile" feature which summarizes and makes easy to supervisors to track training and run reports. 1. It is not very easy to use. 2. Need a hands on training on hpw to load trainings and courses. 3. Customer service is not the best. 4. Loading exams, live events is cumbersome. 5. Pricing is high which can be afforded by high end companies. It needs training to handle and use this software. But once you know how to deal with, it is a great tool for human resource management. It has become easy to manage and measure goals, performance, talent and learning curve of an employee which was a big deal before. Several branches can be connected to the same program and solve all my problems ONLINE with the benefits that implies, so anyone can see at any time the data you need from transactions made, sales, purchases of merchandise movements and many other things just by connecting to his computer. Moreover, in the latest version you can make certain events are sent directly to mobiles and even connect from a palm and modify what you think is necessary. Always depend on having a consultant to support the different modules, because being so large, there is no person who knows the entire system, therefore they specialize in something specific. Sap product with a large professional staff that has the experience that gives them the monopoly of business applications almost exclusively. Good performance, good management and acceptable cost for what it can offer. Experience in handling and use for many years, has helped me to make my certifications as I had prior knowledge and to better execute the company's programs in the sales department. 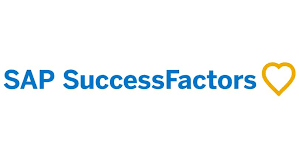 "Success Factors - PM Review "
In my experience working as a SuccessFactors PM, I found the vendor expertise and product support to be superior. Our project team worked with a team of consultants on a new, centralized, global version of SuccessFactors LMS. The project was relatively streamlined, much in part due to strong vendor engagement. During deployment, there were delays loading the course content into the software. Ultimately the course upload process had to extend well into the first week of the initial launch. One of the lessons learned was to do more due diligence earlier in the project timeline (or for new content uploads in the future) to ensure formatting consistency/opportunities for file size compression, etc. were addressed prior to upload. Make sure the team of integrated stakeholders are engaged on the front end of the project, and most especially ensure that a HEALTHY estimate of required weekly resource allocation for all team members (vendors/FTE's etc.) are quantified and socialized across the organization early on. Consistent engagement for all stakeholders is critical for a successful implementation of this product, so there needs to be early buy-in on behalf of the team and stakeholders to minimize disruptions to the team rhythm if there are gaps in the resource allocation (impacting team collaboration). SuccessFactors LMS solved the core business challenge of needing a centralized Learning Management & Course Completion tracking system for several position types across the ecosystem (this particular client held hundreds of properties globally). Prior to the Success Factors LMS implementation, the training management, delivery, tracking and compliance elements of organizational training were segmented, inefficient, and very inconsistent due to the lack of a centralized system. It is a multifunctional work tool, from the point of view of human capital allows you to train the staff, evaluate it, qualify it, quantify it, it gives you statistics that allow you to make a valuation of each of them. It is also an application where they can choose what they want to do, from professional training to sharing with their peers or supervisors. This creates an environment of healthy competition and allows them to define aspects of their career and apply for other positions. Although you can use it as an internal social network, it is not so accessible. That is, for not being a popular application to qualify as a social network, it could be internally among the people who use it. Sometimes companies hold back their employees from this and only use these tools for training. I'd say it's just a matter of focus. I would invite you to use this tool to optimize your processes, provide support to your employees, provide them with knowledge and learnings in a different way. I would not say what problems but the lack of knowledge of some, in this new era where everything is about innovation and every day there are more and more programs, tools and applications to manage our duties at work or the university we need to adapt quickly. For this reason I would say that this tool has allowed us to adapt, it has become much easier to learn, more didactic and much more effective since it can be perceived in the recipient of the information. I like the SAP SuccessFactor because it not hard to enter associates information into the different areas. I also like it because I can retrieve it while am in another store to approve associate requests off. It was simple to train other managers on how to on board associates. As a USer this is great begining platform. A business problem solved is you have get to SAP from any computer when you go to other stores. "SuccessFactors LMS - A Perfect Talent Management suit for complex business processes"
plateau report designer tool that is offline. My recommendation to others considering SAP SuccessFactors is to go for Hybrid Implementation before full cloud suite to understand its behavior better, than going for full cloud suite implementation with no prior idea. Super expensive on the licensing side, there is certain limitation around the system. Since SAP took over, customer service is weak. Often they are not very responsive. Price is on the higher side. I was using the learning suite to satisfy the business needs and also work with a business with streamlining their requirement. The LMS comes out with a wide variety of options to handle the training needs and consider the employee growth. "One of the best cloud-based HR solution"
SAP has always focused on coupling all different modules into a single suite and that is why they are popular. It is the same with SuccessFactors - a suite capable of handling all the major HR solutions starting from management of employee master data to performance reviews. SuccessFactors is huge with so many things combined to one single suite. The best thing would obviously be the integration of so many different things in a single suite. Often the best part about a suite looks bad at times. Although it is vital, the suite is huge (as I said earlier) making it a bit complex at times. So it will take some time to understand all things which is carefully displayed based on role based permissions. Other than that, some custom developments are hard to beautify which I think SAP will take care in the upcomimg releases. There are a very few suites in the market for an overall integrated HR solutions. SuccessFactors by SAP is no doubt the best among them as it is very tightly coupled with all the necessary functionalities and many more to come. At present, I'm taking care of the Performance and Goals Management (PM GM). There are plenty of benefits to say the least. In PM GM, there is a lot of scope which includes streamlining the entire appraisal process. Custom categories, goal definition, group goals, cascading the employee goals to achieve the manager's goal, ratings, automated 360 reviews are some of the benefits that I can point out. There are a lot more though. "Using Successfactors allow our team to profile the main competencies of different teams." Implementing Successfactors and asking all employees to complete their profiles has allowed our team to create profiles of competencies of the teams around the world. By creating this, we are now able to understand what competencies are missing in some specific areas. For all new employees we are demanding the completion of the full employee´s profile, however for old employees we are having some trouble making them to complete their profiles. To create a feature where we can delegate the completion of the profile to old employees. The recent use of SuccessFactors by SAP in our company has helped to understand and map lots of personnel information across different teams and countries. Using Successfactors allow our team to profile the main competencies of the teams. We are still in the early adoption stage of this program. I believe my frustration is likely at the internal powers that be vs the program. I am anxiously awaiting the reporting functionality to be fully released by my organization. I believe that is where I will see the most useful change specific to my job role. Ugggg, the job requisitions dashboard is great....... until you try to quickly see where the candidate is in the process. That is many clicks of frustration, but the reward is great and useful information. Nice on a small scale, terrible on a large scale. This remains to be see as we are in the early adoption faze. The program has a lot of features and capabilities that gives you a lot of information. It had platforms that can make your job in the HR department so much easier. We currently use the Recruiting and Learning Management System modules. And recently the Performance Management module. So far everything is ok and running smoothly, the only drawback is the pricing. Since it is such a sophisticated system, it can be pricey. Costly but worth it if you have a high volume of positions to fill and you need help in manging all the candidates applying to those vacancies. We currently use SuccessFactors for recruiting and training. The recruiting platform is great. Simple and smooth flow with the applicants and interview process. The Learning Management System is complicated in the creating of the training material (creating the training video and tests or at least the uploading). The administration, assigning of trainings, and reports are quite simple. Our company is currently starting to utilize the Performance Management platform. "Not the best, but not the worst"
I like that SuccessFactors is fairly simple to use. It is an online platform that allows multiple users to control requisitions and get updates on the process. It is not very intuitive. For example, if you are searching for a candidate, you cannot hit enter you must click search. If you hit the back button, it makes you start all over again. I wish we could've chosen a different platform. It is terrible that a manager cannot move the candidate forward in the process. There is no integrated CRM tool that makes tracking the status easy. It is clunky and not very user friendly. Don't do it. The price is great, but remember that you get what you pay for. We were trying to upgrade from an outdated system. It is nice to be able to have all of our requisitions in one place and it makes it easier to see what is going on. "Great Experience with SAP SuccessFactors"
Ease of use. Single sign-on for our organization. Lots of options and integration. I also like the ability to view jobs easily. As employees, we can log in at any time and view all of the available hourly and salaried positions throughout the entire company. There are many features involved in the employee experience. I can view reports that are specific to my position, apply for other jobs and even express interest in new opportunities. One thing that is really neat with the way our company uses SAP SuccessFactors is the ability to use one's profile to gain access to new teams or opportunities to work on special projects. By entering our specific skills and providing information about things in which we're interested, some leaders may use the information to contact us about these opportunities. To be honest, I really don't like the LMS. Compared to other learning tools, it can seem outdated or stilted at times. I do, however, like the notifications that I receive when a new learning assignment is available for completion. This allows me to log in and take the course without much delay. Employee learning through LMS. Employee profiles to list experience and career goals. In my role, I find that it makes me more connected to others in the company. I can see other employees' profiles, and I use the built-in company directory quite often. I know that we have also used this software solve a number of other issues related to employee on-boarding, job postings, succession planning, training, compensation tracking and more. Compatible with several platforms I used internally and easy to connect them. Also liked that my team was able to share a master login which reduced the cost of membership. Also used the analytics feature, which contained every metric I needed. UI seems outdated. Would like for UI to be more user friendly, less redundant features and cleaner. Would like for more tutorials to be available for internal and independent training. Would be useful to be able to create running reports that can be used by several subscribes. Verifying client payment, Verifying invoice dates, Assigning tasks to team members, Creating reminders for tasks. Tracking internal OKRs. Mobile App is a big plus as well. I like that I'm able to track my performance reviews as they are being completed and compare how I am performing to my peers. I also love that I'm able to create goals and checkpoints for myself and my career trajectory. I don't like that it is often very convoluted to get the page that displays all unanswered performance reviews. There are many steps to get there that are not super clear. I use SAP SucessFactors to send performance review requests, review myself, and set goals for myself. I have realized that I can use the tool to help myself become a more forward thinker in terms of advocating for my career. Honestly, this is the worst ATS u have ever used. We have had Success Factors for 2 years and they still haven't fixed the many issues- where to begin? EXTREME latency when loading pages, resume viewer only supports certain formats of resumes so a large portion of resumes come up in symbols that are not legible. Application time out errors often. The landing page for recruiters is customizable but is lacking a lot of relevant categorizes (such as pay band). You cannot sort candidates by location or highest level of completed education. The list goes on. I like the organized tables and charts which allows you to quickly see what is outstanding. It contains a resourceful search engine feature. You can customize the home page. I like the complete work report available to view. Great tool for onboarding ! It sends constant gentle reminders of pending training and It alerts you when you have expired trainings. Homepage consist of to do list along with an easy to under stand pie graph. Easy to assign trainings and add due dates. Search engine contains sufficient feedback when searching a term. Trainings , some benefits is that it lets you ensure that you are up to speed with proper training needed by your position. I like the benefit that it lets you self assign courses as well. "Easy Use - Friendly Interface"
I like that its a center among all HR questions, and benefit options. In some cases, it's more focused per department. Currently the main reason to use Success Factors is to guide us (as employees) through our goals processes per year. It's easy to find, and somewhat easy to use. I dislike that no edits can be made using any of the 'to do' options, or any online course system/program. It's a juggle of impatience and slow performance. I think the site/program is pretty self explanatory. Depending on the type of access you have, the ability to use and have any saved training to be able to complete at your own leisure time is really really the best part. Otherwise, usability is simple and to the point. HR issues/questions. The current platform I use this for is to manage my incentive goals per my department requests. It's also nice, to be able to watch the company's mandated training and videos. I like the fact that its easy to be able to call in/take a test from a different place. The convenience of having a system like this integrated for employees is just so easy. Success Factors is very helpful at organizing training requirements at work. It allows users to easily remain up to date with training and observe achievements and goals. We are also able to look up employees in any department, which is helpful at such a large organization. Lately, due to programming issues, there have been reoccurring issues with listed training that will not show as completed when our HR department marks it as completed. It creates confusion for many employees because these training listings will then become late when they have already been completed. It red flags employees when it is not necessary. Keep an eye on recurring issues that may be caused by programming errors. Call customer support when there are issues. They do a great job of resolving issues. Success Factors is really great at performance management. It allows performance stats for each employee to be completed electronically, reducing paper waste and allowing managers and HR to view everything conveniently. "The 21st Century of Talent Management "
Ease of creating profiles and reviewing the organization chart. I love that I can look anyone in my organization and we have over 50k employees! The reporting feature could use some work. When trying to run reports you cannot go in and select what data you would like to see, if you can it gives you a million fields to sort. For example, when trying to run a report to make sure employee profiles were populated 100% there was no easy way to find this information. We had no visibility to other talent outside of our location. This has helped us review other prospect candidates regionally for open positions. "A better way to get management involved with their staff. And to help better position employees"
we are able to hold management countable for their employees needs. this allows them to better understand what training and extra help can be provided to their employees. Its a great way to get your institution in line or on the same page. I was never able to use my managers inability to manage in my favor. Unti success factors it has always been their word against mine, with no true directional path. We are working to solve turn over rates, as well as issues with not just employees but management as well. We are also keeping dates and timelines accountable for both staff and management. They keyboard shortcuts. Once you manage what they are you are able to quickly move around in SAP and utilize the functions much more efficiently. The speed of SAP is also an asset. There is very little lag time unless you are generating large pieces of information or reports. The UI is very outdated. Depending on your need and time for training staff this can be a hindrance. If you take the time to train employees then there should not be problems. There are many different attributes that you may not utilize with in SAP. Be sure to make sure you understand your needs and are able to share that with them so that they can cater the product to your needs. Ability to generate reports and keep track of employee pay. Human resource management nowadays engaged to transformation to agile from waterfall method. day to day life one of the biggest factor is with and without bias promises to revolutionize cross-border flows with real-time settlements that reduce currency risks and enhance liquidity. "Success Factors at a Telco"
I like that internal jobs are posted there and the application process can be followed through Success Factors, it is helpful for big companies (multinationals) when employees want to see potential rotations and opportunities to grow abroad. The platform in general is very user friendly which helps to customize and give a personal touch. Performance Evaluation is not user friendly. As an user, I did not follow very well the workflow to assign objectives and goals, since the begining when main objectives were assigned from the top manager to the different levels of supervision before going to the rest of the staff. The evaluations and personal reviews was a little confusing. Also, the section to check the salary and income was not very clear. It needed improvement. It useful to check a trial before doing an implementation. Test enough through an UAT environment to analyze the potential problems that could be faced for the users and for reporting purposes. Keep tracking of the organizational chart and find people within the organization, recognize other colleagues (badges), keep the records of performance evaluation through the time. "Streamlines the performance management process"
We use success factors to on board new associates. It makes greatly shortens new hire paperwork. When I started with my company 8 years ago it would take 30 minutes or more to complete a paperwork session with new hires. Now it's under 5 minutes. I also love the performance management aspect as well. We input our key performance metrics at the beginning of the year to create quarterly check ins throughout the year. It makes the end of the year performance evaluation process much easier because everything is in one place for you to review. The navigation system can be a bit tricky to learn at first. I like how intuitive this product is for employee self service needs. I do not like how each product within the software has to be implemented and activated. I recommend you have a clear plan or support team with a plan on how you can utilize the software for best functionality. We are able to quickly review HR needs such as PTO and needs for recruiting. "Possibly the worst technology I've ever used in any role of my career history"
It's better to have an applicant tracking system than to use emails. The reporting is abysmal, if not useless. Half of the features do not work as promised during the sales cycle. If you submit a ticket about basic bugs that are clearly the fault of the product (example: "Nothing in the Advanced Analytics platform is correct. Here's all the examples and the proof that it is not accurate. ), they will claim it requires professional services fees ON TOP of the hundreds of thousands of dollars you've already spent on implementing a product that doesn't even perform its most basic functions (like in the example above, "Advanced Analytics" does not even analyze any data correctly, much less in an "advanced" fashion). On top of that, you'd better hope you don't have any integration needs. It will take them over a year and more huge chunks of your budget to figure out the most simple XML APIs. Successfactors and the modules we use are an add-on to the SAP HRIS. Having an ATS keeps us audit-able in our hiring processes. The RMK and Advanced Analytics modules are supposed to help with recruitment marketing, but are practically useless with all the bugs and inaccuracy. I think it works well in the capacity that our corporation uses the system. The goal function is my favorite! The company is able to set corporate goals and share goal updates through successfactors. We are able to set personal or department goals and maintain and monitor highlights and accomplishments as well as goal completion. The self-evaluations can be cumbersome, but they get the job done. The customization ability of the product makes up for this! Being able to have custom categories for goal definition and group goals is essential to our large corporation function. The ability to cascade the employee goals to align with the manager's goals and ratings is key. I like how easy and use-friendly the program is. Most of our company employees seem to use it well and it's pretty simple. I like the details it gives and the options it has. I also like the fact that we can really use the program to look up the organization as a whole, and see who reports to who. I don't like that sometime, when we do self reviews, peer reviews, etc., at times there is no way for us to save our work/writing. Also, there sometimes are too many options and it can be a bit hard to follow. It's a great tool and program to use for organization management and end of year reviews (self, peer, etc) If you work at a large organization, this program is definitely beneficial as a whole. We use SuccessFactors for performance management and reviews. Also, we use SAP as our main HR system. We realize how for the most part, the system is user-friendly and most of our employees don't seem to have issues with it. SAP is used for many reasons at our University, but in my job as the Commencement Coordinator, I use it specifically for collecting graduate data. I can pull reports showing who is eligible to graduate and then dump that into another software product so that students are able to register for their specific ceremony. I also like that SAP keeps track of students who wish to keep their records private and will not include those on my reports. The main thing I dislike is that the data is not always very clean. Many students end up with duplicate records or incorrect or missing information. Occasionally, someone will be placed in the wrong college which can mean they are placed in the wrong commencement ceremony. Also, if a student is missing an email address, it is almost impossible for me to track them down to relay information. This is a great tool for tracking a lot of data. One thing to keep in mind is to be sure that the data is 100% accurate. Sometimes the data may need to be scrubbed a bit, but for the most part, you are getting the right information. Being able to have access to this data and have it listed in one place is extremely crucial to the Commencement Office. We rely on this information to be able to register graduates for their ceremony. With close to 4,000 students in May and around 2,000 in December, we have many graduates and families we need to keep happy. Additionally, by having a list of all of those were are eligible, we are able to market commencement to them and encourage them to walk. You could say we use this as a recruitment tool. "Especially helpful for long-term goal setting." I found it very helpful to be able to see the goal I set for the previous year in order to set a goal for the next year. I liked this feature because it can help me reassess and realign my goals as the nature of business continually changes. I also could appreciate, for the performance management system, the fact that it helps to ensure supervisors review the employees subjectively across the board for each role and not based on favoritism. This is a fantastic software which I have found to be especially helpful for large companies (or companies such as my experience with large spread reach) to help alleviate the massive task of annual employee performance reviews. Not all managers understand how to conduct a proper performance review, and this software essentially takes the guessing out of the event. It seems to allow the employee performance management process to run smoothly. I like that it requires the supervisor to explain their standard for a 5 star performance so the employee can best understand what is expected of them, and why they were scored as they were. I can manage my entire team from one place, and I can manage my leaders separately from my associates. The differentiation is appreciated since my leaders have more tasks than associates. I also like that I can manage recruiting, hiring, goal setting/progress, and performance all from one application. Some features can be difficult to navigate, such as removing tasks that no longer need to be completed. SuccessFactors provides one location for most of your people management needs. It is convenient to have one site to log into, and one interface to use to manage the hiring, reviewing, and compensation process, and to be able to manage personal and direct report task completion. "Success Factors keeps our entire organization on tack!" Our department has been able to operate at a better rate by Success Factors allowing us to do individual performance evaluations with our employees, set goals both professional and development, and complete midterm and annual reviews. The employees love the notification feature to complete any tasks coming due. We’ve had challenges updating an employees record in Success Factors when transferring from different departments within the organization, however, customer support has been able to help tremendously. Since using Success Factors for employee tracking (reviews, evaluations, goals, etc.) we’ve been able to have a structured system in communicating and completing staff requirements which has benefited us by our department operating at an optimal level. SF can be very customizable and is always updating and becoming better. SF can be tough for a new analyst to learn that hasn't used it before. SF can be very useful for planning merit vs. using spreadsheets in excel. I use SF mostly for merit planning and execution. SF makes it much easier than in Excel. "Great to measure people performance and align objectives with strategy"
SAP HCM is not fully covered in SAP Successfactors like Payroll module is not available in SuccessFactors. we are using it to measure performance of employees and align strategy with the objectives. "Excellent Performance Management and Talent Management Tool "
SF is designed in a way that it is simple or directly available screens for day to day activities for users and managers. It is rich tool for performance Management and Talent Management. Easy and out of the box integration with SAP. It is difficult to find some few features and screens in the SF. Those are not obvious. Integration APIs are not as mature as it should be and are frequently changing. There are few things that only supported if you use SAP integration tools like oAuth. Customization to the tool is not as easy. It is good HR software. It is definitely make sense to consider SF if you are mostly SAP software customer. APIs are much more mature now. But there are many HCM solutions in the market, I will suggest to do the comparison and analyse it based on your business requirement. it is human Capital Management tool where we use it as to keep employee records and to manage their KPIs, Performance, grooming and succession planning. I like the fact that you can update users training requirements and also in a secure platform. This learning platform is also useful for keeping track of very important learning tools and keeps up with who and what is being passed or not passed. I dislike that if someone does have a bad day and just did not do well on the test, that they cannot be afforded the opportunity to retake instantly after so many failed attempts to pass a course based on questions ad answers that are sometimes not relevant . I recommend that you ensure the persons taking exams or test, that you let them know that they only get 3 attempts in some cases to pass the exams. I have used success factors to test employees and have them monitored by administrative personnel for accuracy and ethical test taking. I am solving the problem of keeping up with requirements. "Easy to use once you are there"
The dashboard makes everything easy to see. You know exactly what needs to be done, and what is coming up. The only thing I don't care for is that you can not download your information into a spreadsheet. With that said, that might be a product feature that was not purchased, or I don't have access. But that is my only complaint. This is easy to use for both user and facilitator. The dash board gives an at a glance with ease and understanding of where you are and where you need to be. It puts information at your fingertips and with a one quick glance you can see what needs to be completed or what will need to be completed, and what is completed. I truly love the badges and rewards that you can send to your coworkers and they love them too! It boosts morale for sure. The software is beautiful and there is so much to choose from to make your profile aesthetically pleasing! Makes it so easy to do yearly evaluations and makes communication a breeze. The only thing I don’t like is that because it is so intense with so much information and the layout is so extensive that the ease of use isn’t the best. Be sure to spend time navigating the site and make notes at first to remember how to get back to certain places. There was such a headache with doing yearly evaluations and lots of paperwork in the past but now due to successfactors, we all communicate much more efficiently and effectively. It truly makes performance management a breeze. Logging training has been the major success. Some problems would be that it will not remember your password and when a new link opens for certain training material it refreshes and sometimes says that training is not complete. "Lots of Features Pretty Simple"
The interface is friendly and mostly easy to use. You can change the layout to make it customized for what you'd like to see. It's not always intuitive to find what you're looking for and trying to figure out how to do what you want to do can be challenging at times too.. Pretty good system and decently easy to use for the variety of things it can do. I like using it to search for jobs and apply, that process is very simple. I use it to complete learning assignments that are given to me, which is also very simple and I can search for other courses that are offered. I use it to complete my goals and appraisal each year, which is simple, but not always intuitive. I spent quite a bit of time this year trying to find my older appraisals and had 2 other people trying to help me figure it out too, we eventually did, but it wasn't intuitive. Successfactors is very user friendly, easy to use and intuitive. I love using it when completing my annual reviews. It should have more functionalities available, it feels limited. I wish i could use it more and avail many more of its functions so that I can comprehensively take advantage of its potential to improve workflow in the company. Definitely worth a shot, it's a great product!!! "Works but there are overlapping areas and sometimes it's not intuitive." The automatic evaluation text generator. It saves a lot of time and can really get you off to a quick start when evaluating the performance of others. The calibration part of the process is quite good. It is compatible with different browsers and there is no need to install anything on your machine. Not very intuitive. Long and repetitive screen when evaluating others and you can get a bit lost between similar looking sections. The feature to ask for feedback form others should include an option for external partners that are not integrated into success factors - perhaps in the form of a shareable link that would lead the users to a web form etc. Make sure you invest the time to use it to the end. I have seen peers who just dropped it after some time and it was a pity! * We monitor all SAP SuccessFactors reviews to prevent fraudulent reviews and keep review quality high. We do not post reviews by company employees or direct competitors. Validated reviews require the user to submit a screenshot of the product containing their user ID, in order to verify a user is an actual user of the product. Hi there! Are you looking to implement a solution like SAP SuccessFactors?